In June when I visited my son Donovan Hart he gave me a remarkable gift. He put in my hands a book titled Enscribing the Heavens from This Side by Ina Hamilton Hart. Donovan had collected Cronechronicler posts written by Vivachange77 from May 2014 through April 2016 and had them published by Amazon. He wrote the pieces about the book and the author on the last page and on the back of the book. My granddaughter Leela contributed her drawing of a crone. Over the summer we made a few edits. In September Donovan published the book in paperback and on Kindle. Last week Colleen Chesebro ~ Fairy Whisperer reviewed my book on her blog and posted her review on Amazon.com. So far so good. I wanted to shout my news to the blog world but wasn’t clear how to do this. Then I discovered that Amazon.com misspelled Cronechronicler on their website in a subtitle they added. Amazon made the correction for me. When I checked, I was dismayed to find that now capital letters were missing from the main title. Twice I’ve talked to someone at Amazon who promised to fix the problem, but to no avail. It is like a Rubix cube puzzle I can’t solve. I began my blog with the intention of creating a legacy of family stories and writing new stories and poems revealing the woman I am becoming. I am delighted to have a real book to give to family members and friends. I don’t know a sleek way of inserting a blue link in a blog post to let my followers know where to find my book. If you go to Amazon.com the old-fashioned way and write Enscribing the Heavens from This Side it will take you to my book. Disregard the absence of capital letters and some weird punctuation. It is still a rose. How exciting and what a wonderful thing for your son to do for you. Looking forward to reading it,. Thanks. I hope you enjoy it. I feel so loved that my son would create a book of my blog posts. Congratulations! That is amazing and I can’t wait to see it! That’s wonderful news! It’s such a treasure for your family & everyone else! Many congratulations Ina, I’ve bought my copy! 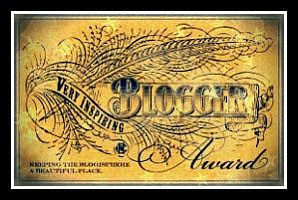 Andrea, thanks always for following my blog and supporting my writing. What a tribute from your son! Thanks for liking my comment about learning in your 80s on A Wayward Scibbler. I too write now and am looking forward to publication of my memoir in Seattle in February. Yes, he’s pretty wonderful. I look forward to reading your memoir. Thanks for visiting my blog and following. Awwwhhh . . . that’s wonderful, congratulations. Thank you. It was a magical experience.